There is no dearth of people who predict that robots will one day challenge humanity and cause a robocalypse, but at the moment, robots are being quite helpful and are doing things ranging from assisting customers at stores and cleaning houses to managing a hotel. 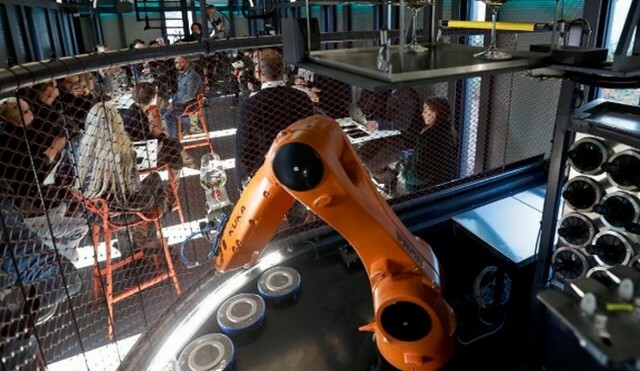 A pub in Prague has now come up with yet another employment opportunity for a robot- serving as a bartender. A small establishment in Czech Republic’s capital city named Cyberdog has employed a robot to serve as the bartender which takes orders for drinks via an app. 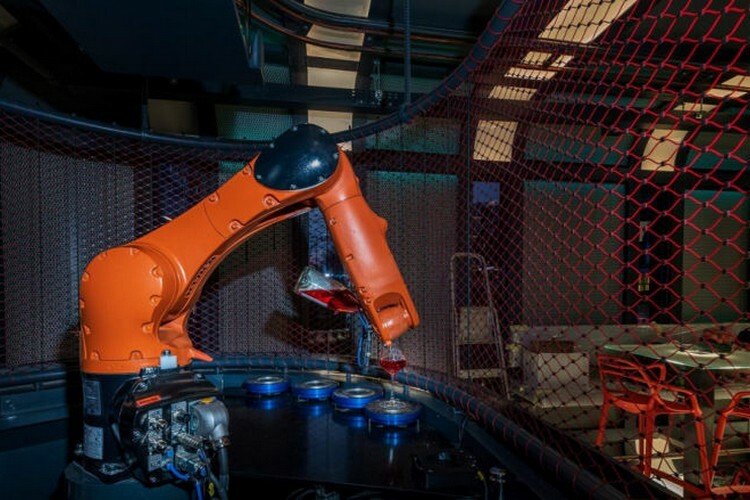 As soon as customers place their order, the robotic bartender picks out a bottle from a selection of seven wines stored in a cool box, pours them in up to four glasses and then puts them on a tray which then reaches the customer’s table. Doesn’t sound that futuristic? Well, the robotic bartender apparently does not like to sit idle and when there is no work, it breaks into some little dance moves. When he has no order, he is bored and he shows that by making moves according to what he has in his programming. The owner of Trigema, the real-estate developer behind Cyberdog, expressed that the service sector would soon follow the lead and begin employing robots in more roles to bring down the spending on expensive manual labor. But Marcel Soural, the owner of Trigema, also has a slightly luxurious take on the employment of robots. “I am deeply convinced that in some time, when you will be served in a restaurant by a real person, it will be a terribly expensive restaurant because it will be unique”, Soural told Reuters. However, Cyberdog is not the only place where a robot is employed help fill our belly. California’s Caliburger restaurant has a robot named Flippy which flips hamburgers, while Spyce in Boston has altogether replaced human chefs with seven automated cooking pots that can cook a meal in under three minutes. Even Nepal, the tiny Asian nation, has a restaurant in its capital city where the orders are served by a robotic waiter. Bon Appétit!